Dunlop is launching a new preparation product prior to tiling. This is why Dunlop has launched Tilers Primer, providing tradespeople with a specially formulated acrylic primer which is absorbed into the background, creating a strong and stable surface for tiling. Significantly reducing the risk of failure! 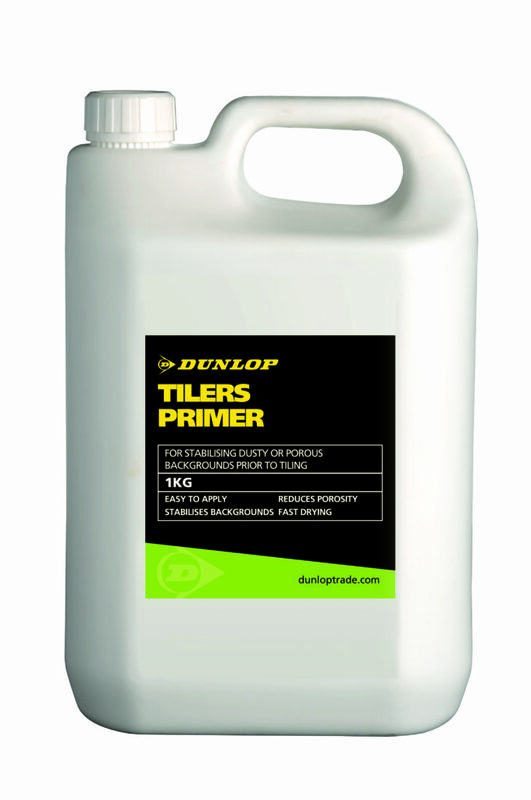 Dunlop Tilers Primer comes in 1kg bottles and undiluted covers approximately 10m2. Apply 2 undiluted coats with a paintbrush on plaster, plasterboard, floorboards or screeds, or diluted with water 1:1 on plaster if using a ready-mixed wall tile adhesive or tiling on cement floors.